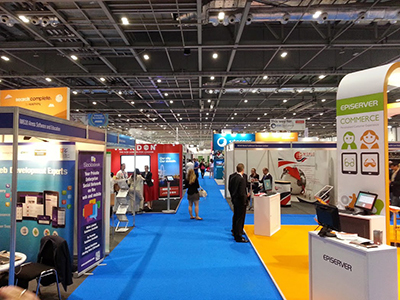 From 17 – 19 June 2014, Japie Swanepoel attended Internet World at Excel London. This event has become an annual event on his calendar. Here he attended 15 sessions over a three-day period to gain more insights into mobile, commerce and content marketing. 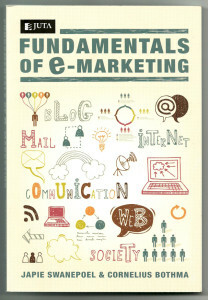 Juta, South Africa’s largest local publisher of quality student textbooks recently published Japie Swanepoel’s second book, “Fundamentals of e-marketing”. The book contains up to date and relevant content for any person wanting to understand the world of online and digital marketing better. It’s contents includes chapters on search engine marketing, online advertising, affiliate marketing, email marketing, social media marketing, blogging as well as mobile marketing. The all important concept of having a proper e-marketing strategy in place is also covered in detail. The book will serve as a prescribed publication for a new emarketing certificate programme offered by the University of South Africa (UNISA). Click here if you would like to get a copy of the book, you can order it online through JUTA.